“No one knows, till he tries, how easily a habit of walking is acquired,” -Thomas Jefferson. Move more. This mantra of so many physical activity promotional campaigns is simple and effective. 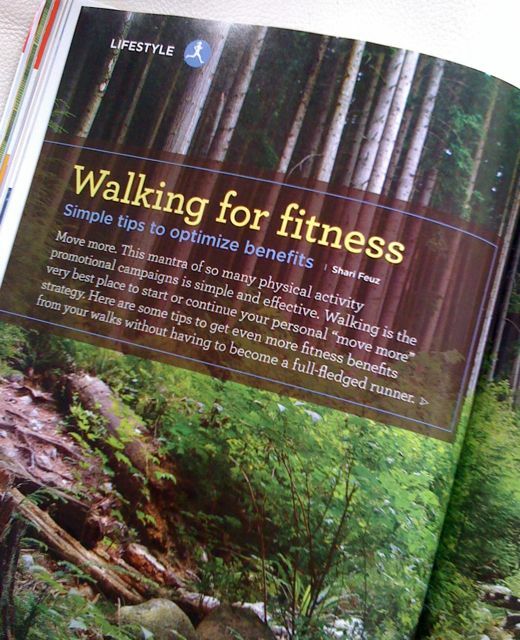 Walking is the very best place to start or continue your personal “move more” strategy. Here are some tips to get even more fitness benefits from your walks without having to become a full-fledged runner. Read my full article in the latest issue (October 2012) of Alive Magazine. Available at your local health food store or online at Alive.com.